I make handmade stamps from old postcards, manila folders and found objects. I cut my stencils with scissors or for more detailed ones like flowers I free form draw with an Xacto blade to cut the design. 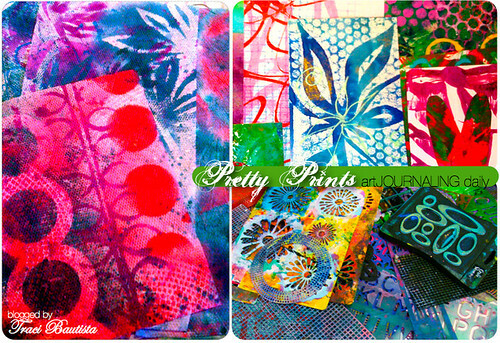 here are a few jumpstarts and ideas for you to create lovely PRETTY prints in your art journal! experiment with printing on paper towels. 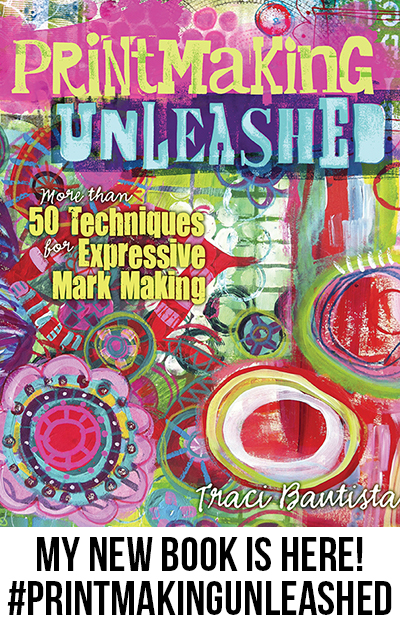 I detail the process in my book and talk more about my printed papers in this video. 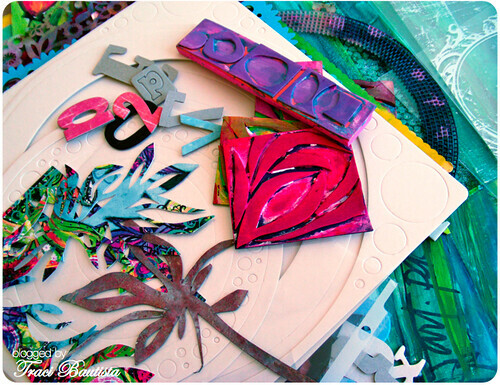 I HEART letter stencils, geometric stamps, flower & heart stencils and use chipboard shapes for painting. one of my favorite tools is the brayer. 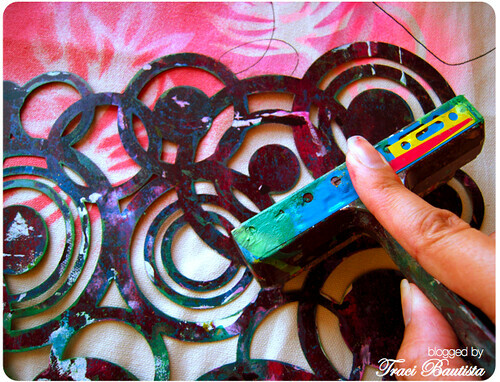 spray through laser cut cardstock or plastic stencils then turn over the stencil and take a print with a brayer. 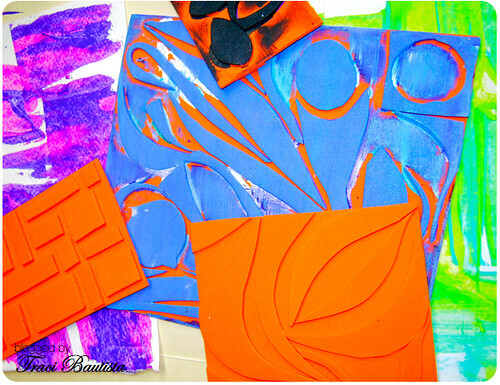 cut shapes out of self adhesive craft foam to make handmade stamps. 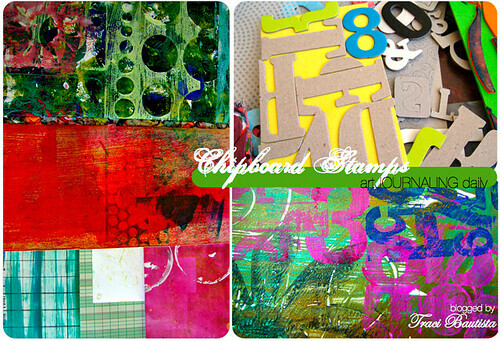 I collect chipboard letters in all fonts & sizes and create alphabet stamps by adhering them to adhesive fun foam. another favorite tool...my collection of architectural green stencils. 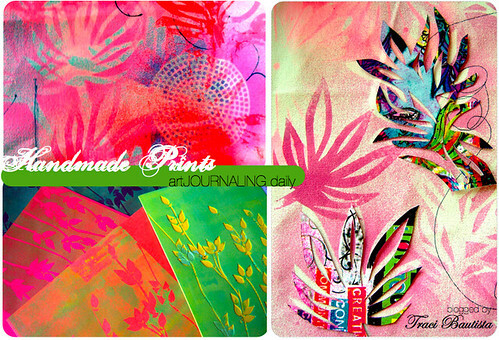 artJOURNALING daily prompt no. 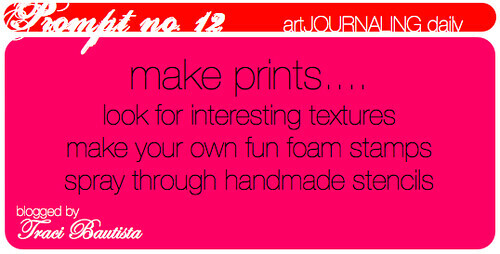 12...make unique prints! 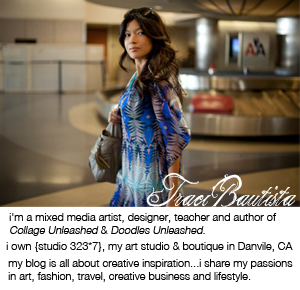 be creative...there are so many interesting tools and textures around your work space. 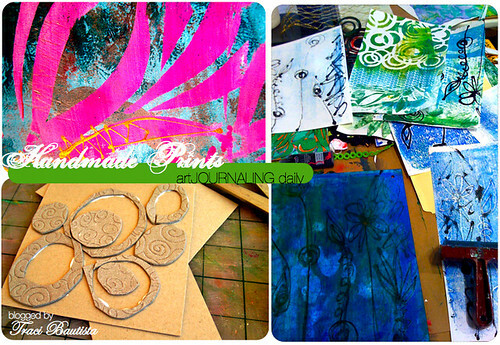 start making your very own stamps and stencils....use them to make PRETTY prints! p.s. 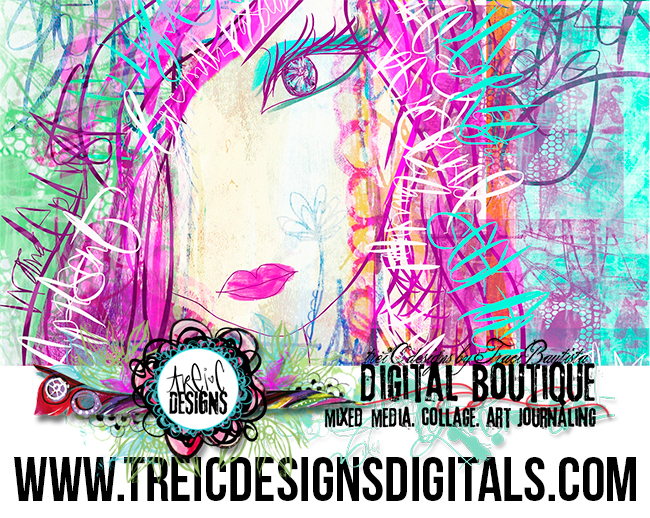 have you checked out the amazing art journaling artwork in the gallery...just FAB! !